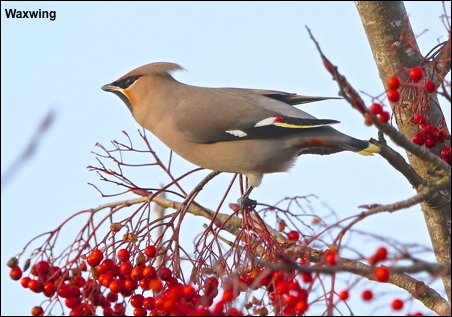 After weeks of searching last Monday I finally found four of my favourite birds, Waxwings, feeding on a Rowan in the Ribble valley. I had them all to myself and spent ninety minutes taking whatever photos I could in the poor light. Hopefully in future weeks more will move down from Scotland and we can all watch them devouring our local berries.